If the world is round, why don’t the people on the bottom fall off? 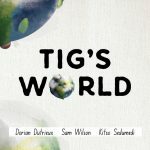 Tig’s mom has one answer, and her dad has another. Who’s telling the truth? 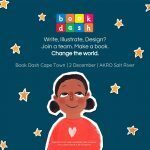 Created at Book Dash Cape Town on 2 December 2017 by Sam Wilson (writer), Dorian Dutrieux (illustrator), Kitso Sedumedi (designer). 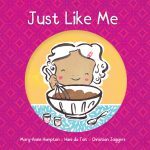 Edited by Carla Lever. Lucy can’t find her sister Thabi. But everywhere she looks there’s a suspicious hippopotamus. 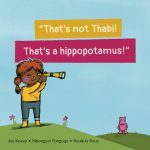 Does the hippo know where Thabi is? It’s Rahah’s birthday party. Mum wants to know who she will invite. Will they all fit in?